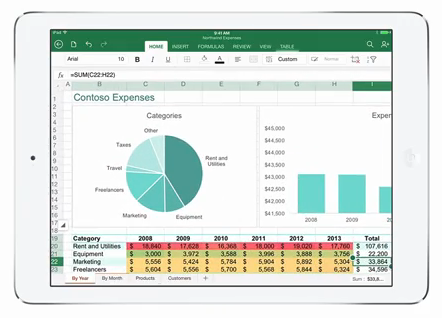 Microsoft has released the long awaited version of their Microsoft Office suite for the Apple iPad tablet range. Office For iPad is free to download, and with this users can view documents and give presentations. If you want to create new documents or edit existing files you will need to sign-in with your Microsoft account and have a current Office 365 subscription.